Nathan Leopold and Richard Loeb were close friends who attended the University of Chicago together in the early 1920s. They both came from affluent families and considered themselves to be abnormally intelligent. Their belief in their own abilities led them to feel that they were superior to others and not under the jurisdiction of the laws of common men. One day, they picked up a young boy in their car and killed him. The murder trial of Richard Loeb and Nathan Leopold shocked the USA in 1924. If you think this is an unlikely premise for a musical, think again. In this show, the audience will be taken on a journey into the minds of the two killers. 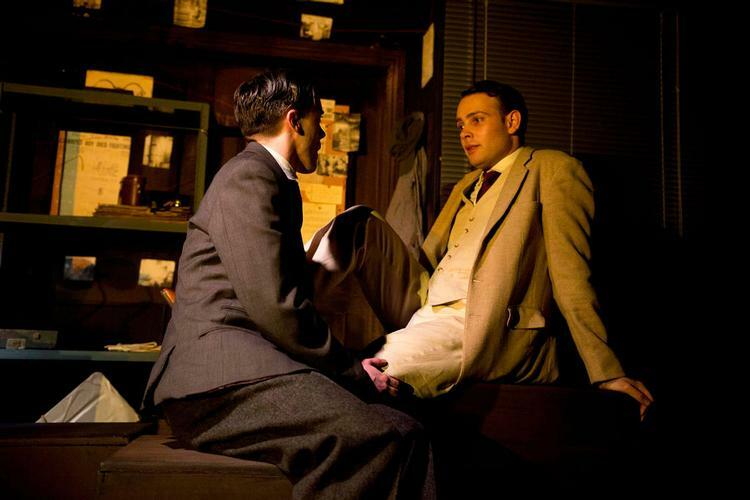 The thrilling musical, directed by Matthew Parker, focuses more on the psychological dynamics of the relationship between Nathan and Richard than on their actions. And in the intimate space of the Hope Theatre, we are with them, minute after minute, glued to our seats, to see where the events will lead the couple, until the completely unexpected final twist. It’s a game of mind control, and of manipulation. Nathan needs Richard and Richard needs Nathan. But who is really in charge? The answer might be not as simple as we expect. The performances of Bart Lambert and Jack Reitman are superb, with fine use of facial expression and body language. Tim Shaw, the musical director, plays the piano, the sole accompaniment throughout the 80 minutes. Chris McDonnell’s lighting adds intensity to Rachel Ryan's inventive set. Thrill me is a beautiful, unsettling, dark and gripping production that makes us reflect about how far human nature can go in the name of love. It runs until 20 April.